Change is in the air for Lubuntu. First, the Lubuntu team chose to ditch LXDE desktop in favor of LXQt desktop and now they don’t want to focus exclusively on older hardware. You probably already know that Lubuntu is one of the official flavors of Ubuntu that uses LXDE desktop environment. It has always been considered a lightweight Linux distribution suitable for old computers because it uses fewer system resources. But things are changing for Lubuntu. In a blogpost, the Lubuntu team discloses that with the transition to LXQt, their “main focus is shifting from providing a distribution for old hardware to a functional yet modular distribution focused on getting out of the way and letting users use their computer”. And what prompted this decision? Apparently the definition and state of ‘older computers’. the definition of “older machines” has been changing. At one point, our rule of thumb was to support machines ten years old. If you look at computers that were released ten years ago, for example, a computer with the AMD Phenom X3 processor, you will note that computers, give or take, supported two gigabytes of RAM and two processor cores, and were also 64-bit at this time. Lubuntu team argues that many Linux distributions these days can run on the computer of ten years ago than Linux distributions made five years ago with a 15 year old computer. That’s quite true because the hardware statistics haven’t changed much in the last decade. The minimum RAM on computers are still 2 GB and all these systems are 64-bit only. What I am not sure about is that running GNOME desktop on a system with 2GB RAM would be the same as running LXDE on it. And the bigger question is what happens to computers older than 10 years? What lies ahead for Lubuntu? Lubuntu team specifies, “Lubuntu will stay light, and for users with old systems, should still be usable. But we will no longer provide minimum system requirements and we will no longer primarily focus on older hardware”. With LXQt, Lubuntu will leverage modern, Qt-based technologies and programs to provide users with a functional yet modular experience. The future versions of Lubuntu will have a light experience by default but the users will be able to utilize more heavy and featureful components as desired. What do you think of Lubuntu’s move? 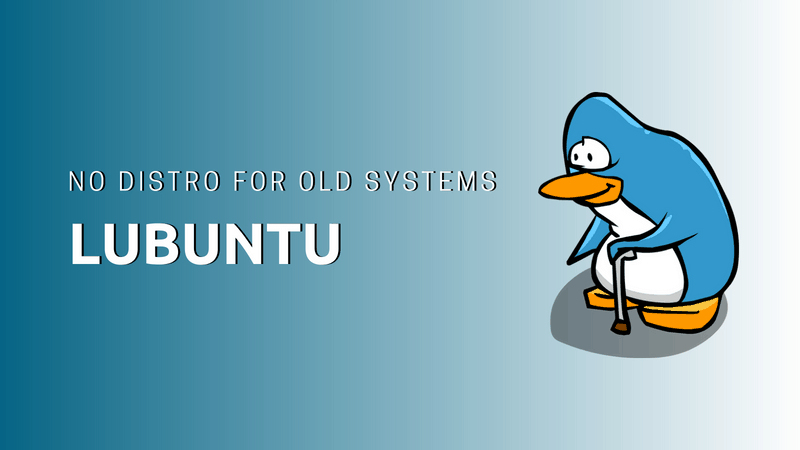 Do you agree that Lubuntu doesn’t need to focus on older computers because the ten years old computers are not really that old? What happens to a system older than ten years? Do you think it’s a right move? There is only a slight performance penalty between LXDE and LXQt. You will see in the overall benchmark that the gaps between the LXDE and LXQt are actually minimal. The LXQt performance is still better than XFCE. I don’t like the way Lubuntu is going. I like the new interface, though they added a lot of unnecessary things (really, animated screensaver by default, like in a Windows 95?) and added a confirmations for everything (like “do you really want to paste this text? Do you really want to close this window? Did you mean to shutdown by clicking the shutdown button?”) What am I, using Windows!? Come on guys, new look is awesome, but this is some bullcrap! The gaps between the LXDE and LXQt are actually small and compared to XFCE, LXQt still performs better. I’m currently using Sparky Linux LXQt and I’m happy with it. eyyy its a club penguin image!! The gaps between the LXDE and LXQt performances are small and LXQt still performs better than XFCE. Hence, LXQt is still usable even for old computers although it is not yet mature compared to LXDE. It should stay focus on Pentium 4, single core, 2GB max memory like computers. There are other Ubuntu distributions for earlier computer. The best I found for P4 is still Lubuntu. When it runs well on P4, in runs even better on newer computers.